This was the first sketch I did on the trip to Italy… I think the lack of practice shows! Still – it was a surprisingly tricky sketch as all the buildings across the “square” were slightly off kilter from one another which made for a slightly shifting perspective. 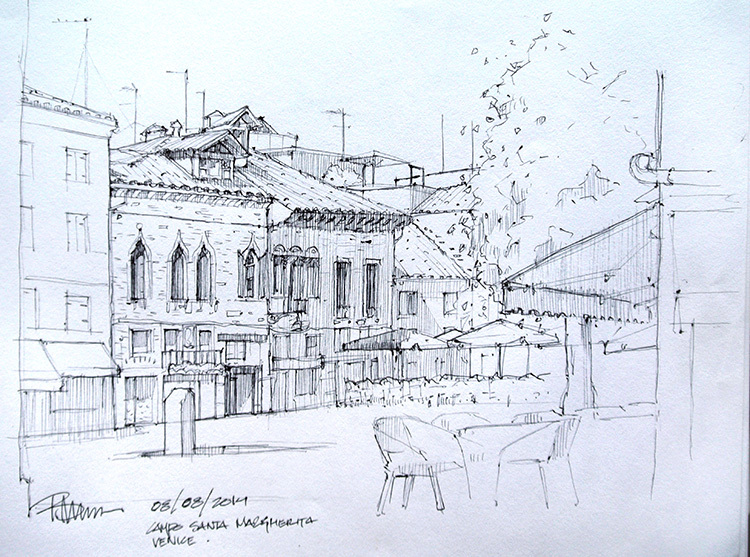 This entry was posted in Architecture and tagged Bruce Thomson, Bruce Thomson sketch. Bookmark the permalink.